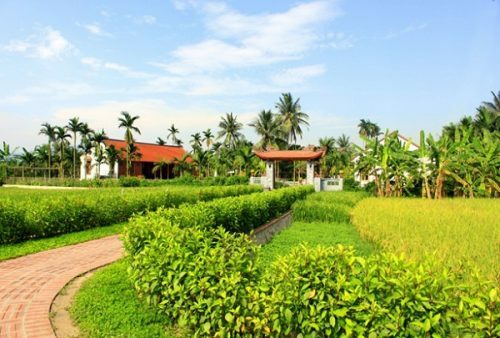 First served Hanoian gourmets since French colonial time by Đoàn family, Cha Ca La Vong has been one of the symbols of the capital city, the pride of Hanoi citizens and one of the most favorite dishes of Vietnamese. Cha Ca La Vong is kept really hot in a vegetable oil pan and it gives its best taste when it is still boiling. 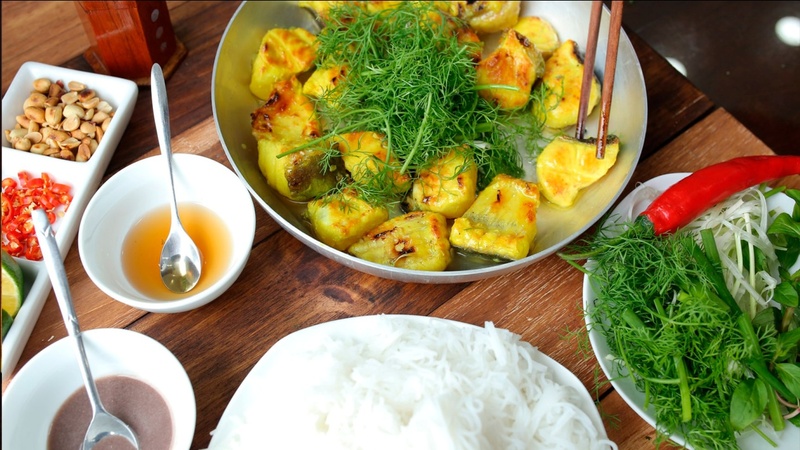 This special dish is best eaten with rice vermicelli, dill, spiced fresh onion, coriander, peanuts and an indispensable ingredient called mắm tôm (fish sauce). And you are required some techniques for the best enjoyment: grasp a piece of chả cá and then spoon some boiling oil in the pan to pour onto it. Address: No 14 Cha Ca, Hang Dao, Hoan Kiem District, Hanoi. 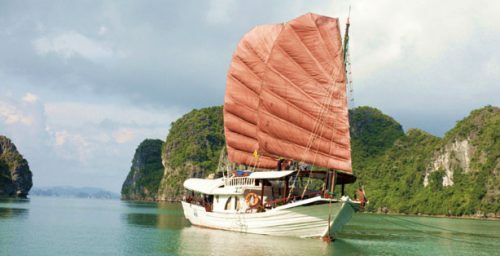 Address: No 1 Hang Manh Street, Hoan Kiem District, Hanoi. Looking like soft spring rolls, stuffed with a mixture of pork, wood ear mushrooms and onions, and served with fish sauce, bánh cuốn, which is made of these common ingredients, tastes really delicious. Having its own attractive feature, from the appearance to the special taste, Bánh Cuốn has been a favorite breakfast for Hanoians. Once tasting it, you will be attracted by its flavor. Going to a bánh cuốn stall, you can see how skillful the masters of Bánh cuốn are! Firstly, they ladle fermented rice batter and stretch it onto the surface of the steamer. After that, they cover the steamer with a lid it for just a few seconds. Then, they carefully take the super thin and delicate sheets out, place it with a stick onto a table and fill them with a mixture of minced mushrooms, cooked meat and shallots. Not only thin as being spread meticulously, bánh cuốn Thanh Vân also has so sweet scent. 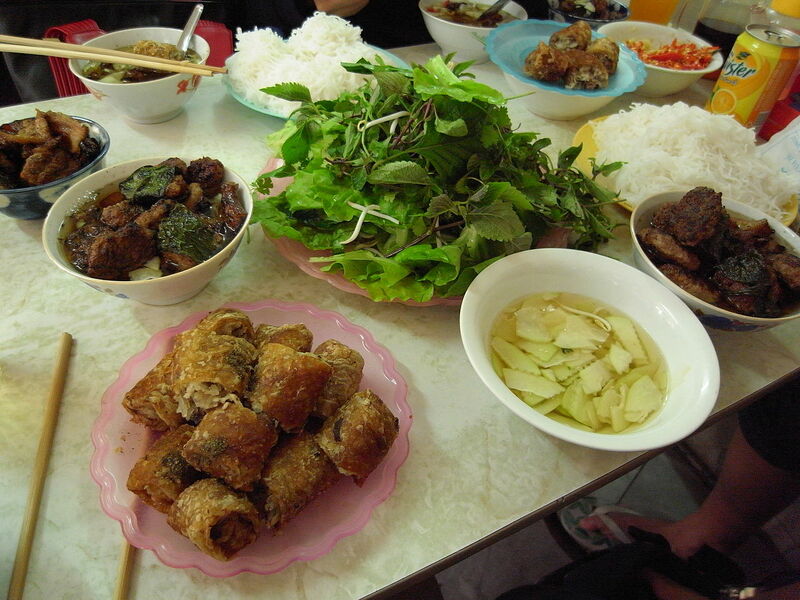 Here, depending on eaters’ preference, they also serve bánh cuốn tôm (steamed rice rolled with shrimp) or bánh cuốn gà (steamed rice rolls with chicken) instead of the traditional minced pork. 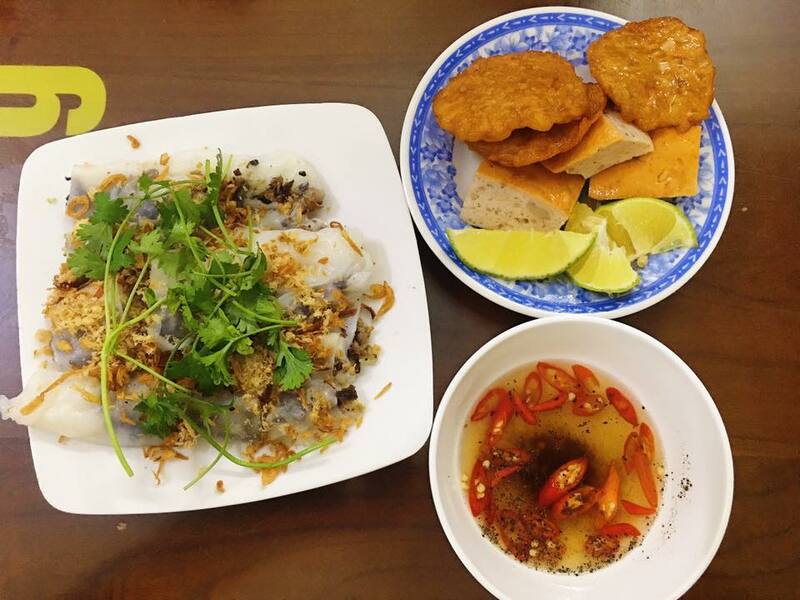 In addition, there are two options of dipping sauce: ca cuong sauce and traditional fish sauce. Where to go for bánh cuốn? 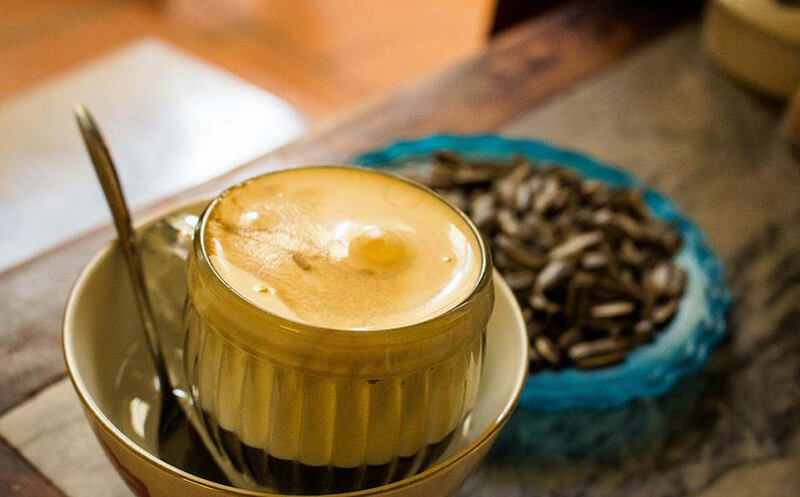 Described as liquid tiramisu, egg coffee, which will impress you for its sweetness from the great combination of the rich taste of the egg yolk, the strong taste of dark coffee and the sweet taste of condensed milk, is worth drinking. Where to go for egg coffee? Address: No 39 Nguyen Huu Huan Street, Old Quarter, Hanoi.